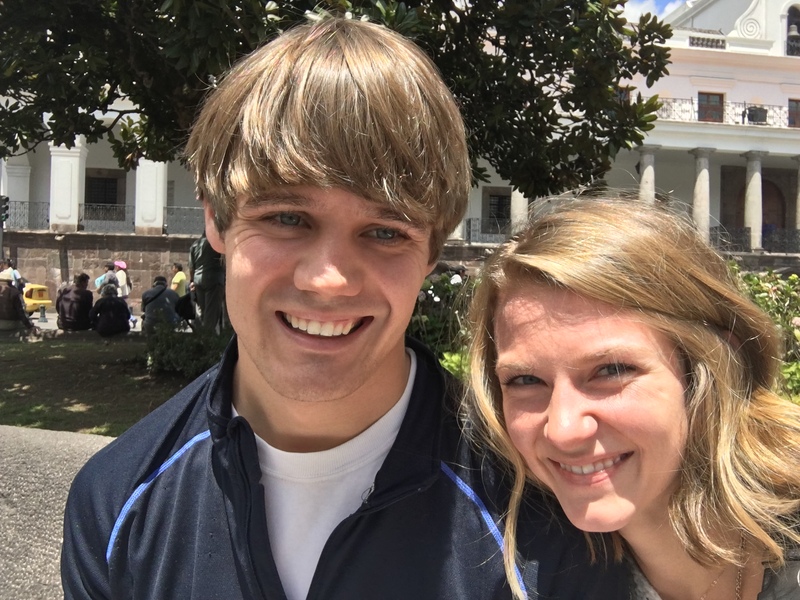 In case you missed the first update, we went to Ecuador and fell in love. Thanks to the fact that we squeezed in more outdoor activities in eight days than we probably have in the last eight months, I’m breaking the trip into a few parts. 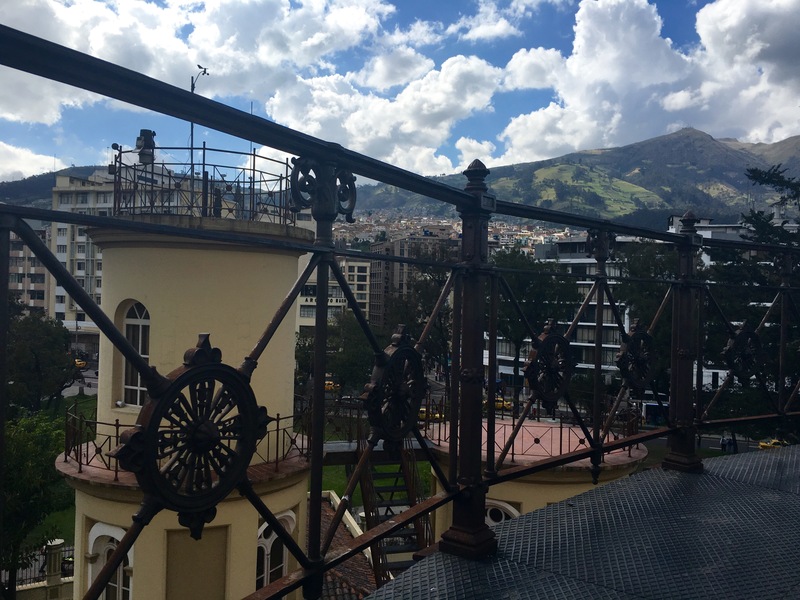 Today’s adventure is the capital city of Quito. 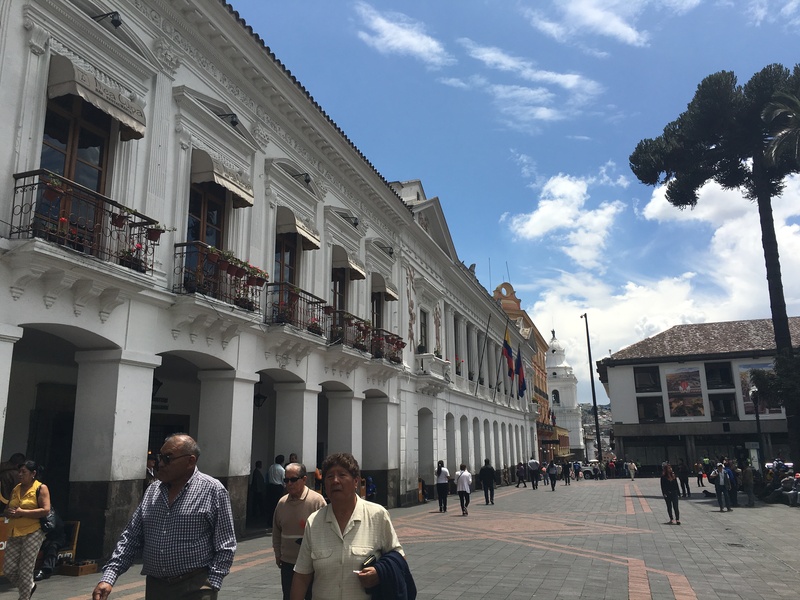 While Ecuador is roughly the size of Colorado, it takes approximately ten hours to get to one side to the other thanks to the changing topography of the country. For that reason, rather than break the recap of our trip up chronologically, I’ve decided I’d go geographically. 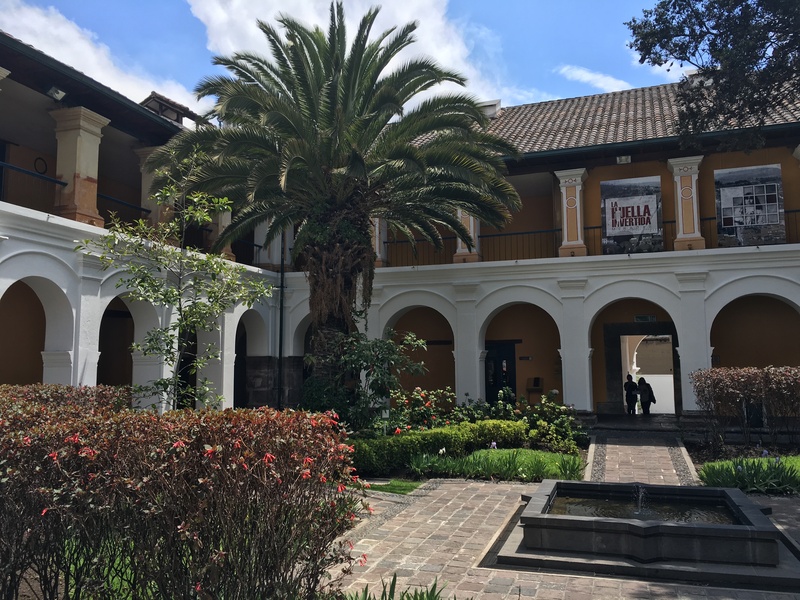 We started and ended our trip with a day in Quito. After stalking blogs and Instagram of the UNESCO World Heritage Site city, I was more than excited to experience the history for myself. 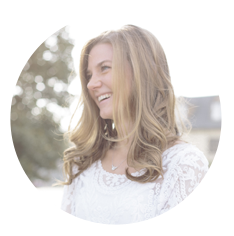 I had read through a few sources that you should plan to spend roughly three days exploring the city as there is so much to see. As pretty as parts of the city were, we found it quite easy to cover in a day. If we were museum aficionados or weren’t so tight with our wallets when it came to attractions, we could have easily spilt it into a few days, but alas, not us. 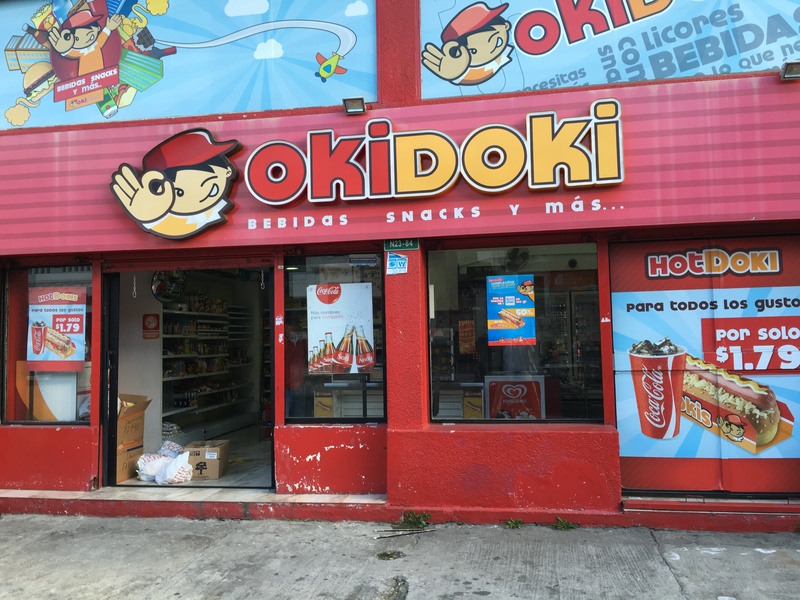 I read that taxis in the area can be a bit sketchy and after having a taxi driver nearly fall asleep at the wheel on our ride in the night before (random conversational Spanish to the rescue,) we did play it a little more carefully than our usual travel style while in Quito. Luckily, taxis are not at a shortage, nor are the expensive, and it was quite easy to have the hotel hail one for us. 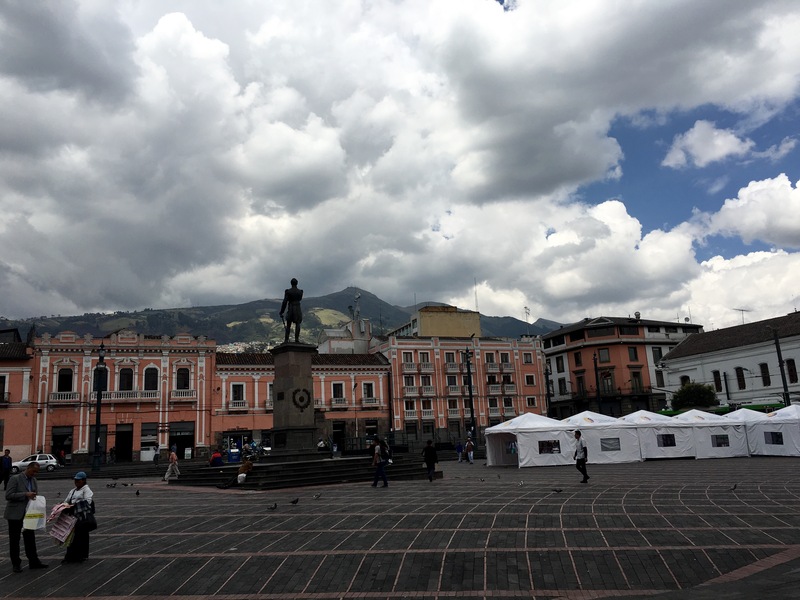 Quito is large, boasting a population of 1.6 million, but the centers of the city are split into old town and new town. Our hotel being in the later, breathtaking architecture in the former. I use the word ‘touristy’ quite loosely here, as we were quite surprised to find very few tourists anywhere where we visited. 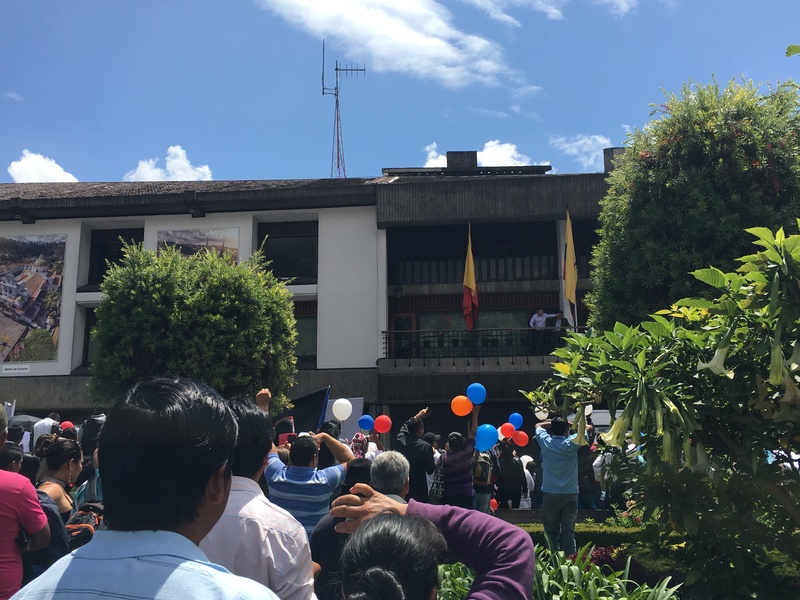 That was certainly a big plus, and nice surprise, for Quito. Taxis in Quito don’t typically follow a meter, so agreeing upon a fare after getting in is customary. We agreed on a $5 fare and took the 15 minute ride or so into old town. Old town certainly lived up to the charm. We started in Plaza España where a crowd was gathered. It turned out the president was making a fairly regular appearance, which we found pretty cool. I can’t imagine Barack (or any other American president for that matter) to be allowed to just hang out in the city center with little security to be seen. By far the best stop we made was the Basilica. I had read online that you can visit the massive towers, and while there was no signage advertising it, a quick question to a random employee manning a table turned out to be the entrance we needed. For $2 we were granted a self guided tour that came with very little restrictions. 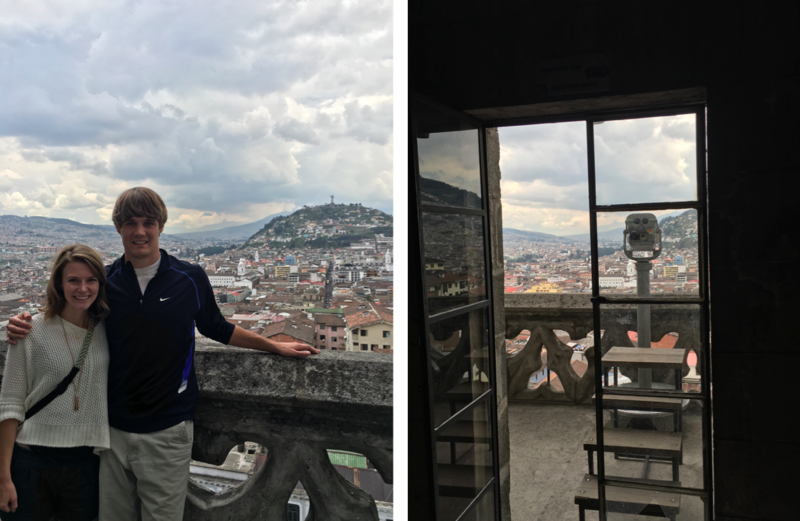 We climbed more than our fair share of terrifying staircases (definitely not up to code in the States). 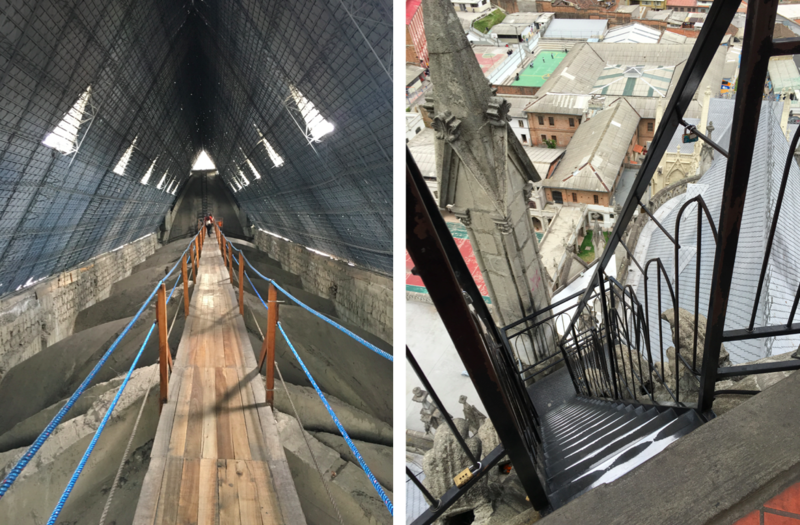 The final climb to the main spire was so terrifying that my crawl of a descent was greeted by laughter from both my my darling husband and a line of waiting Ecuadorians, lovely. 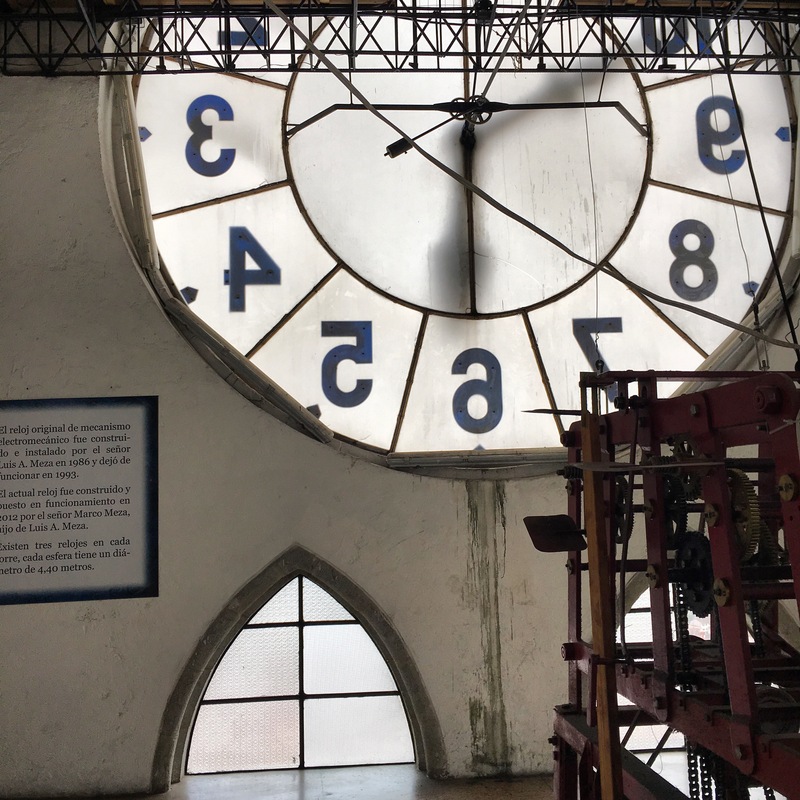 We also climbed inside and up a spiral staircase to the top of one of the two clock towers, where we plotted our future home a la Hugo. 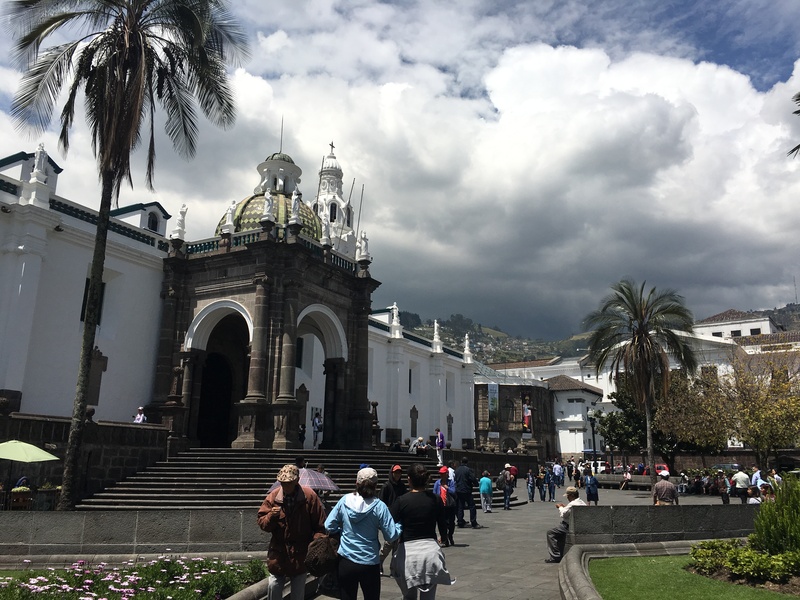 From there, we wandered into church after church (my favorite addition to any trip) as well as through the winding cobble stone streets and many outdoor markets. 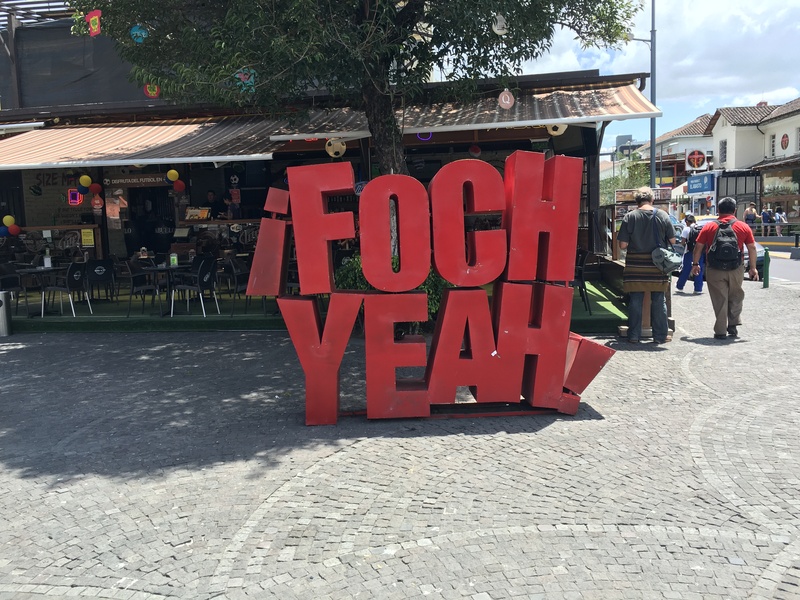 After getting caught in a torrential rainstorm on our walk back to the hotel (when they say Ecuador can experience all four seasons in a day, they mean it), we dried off and grabbed a spot on a patio for happy hour in Plaza Foch, before meeting and having dinner with our tour group. 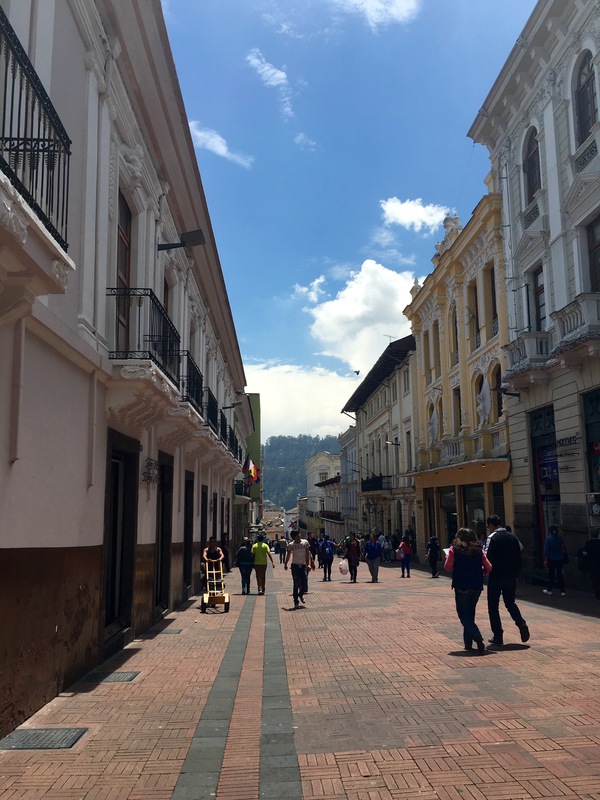 After finishing our adventure tour, we returned to Quito for a day. 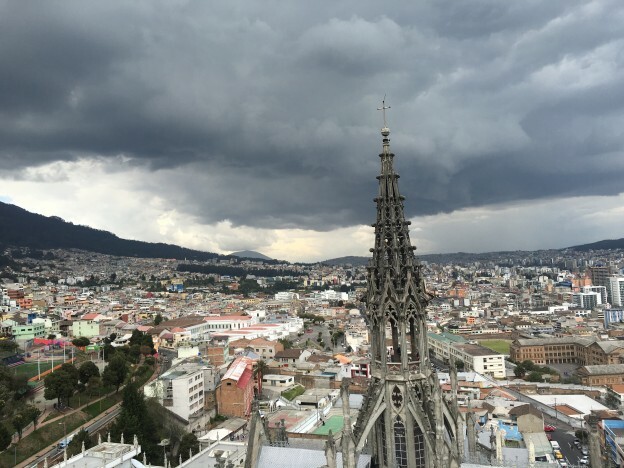 With luck, we pulled into Quito just as the Ecuador – Uruguay World Cup qualifier was getting under way. While we were bummed we couldn’t attend the game live, we stumbled upon the next best thing: an Irish pub. With our flight leaving close to midnight the next day, we had an entire day to kill. Not our best planning. 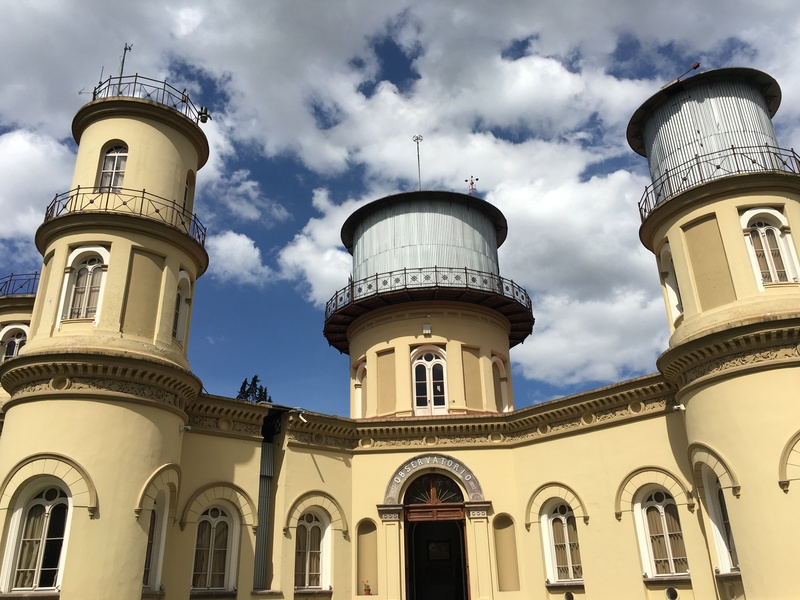 We spent the day doing quite a bit of slow meandering through Quito’s numerous parks and stopped for a trip to the Quito Observatory. Another $2 stop, it was well worth taking the time to explore South America’s oldest observatory. While we didn’t recognize much, we did take plenty of pictures with the hope Erik can decipher them over the holidays. 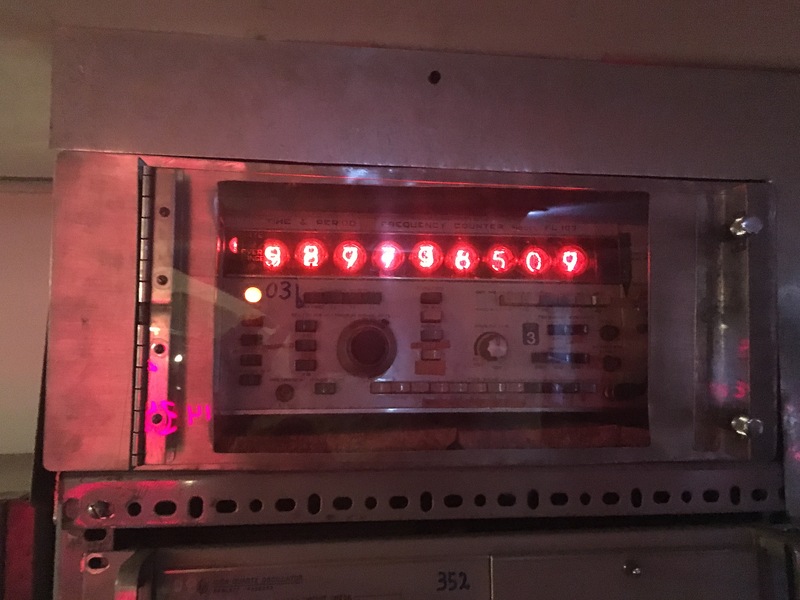 We are certain we did however correctly identify the clock from Lost. After more meandering, lingering over lunch and then desert for dinner, it was to the airport and homeward bound. Stay tuned for the next part of this saga (I promise the pictures are worth the scrolling) as we head up, up, up and into the Andes. 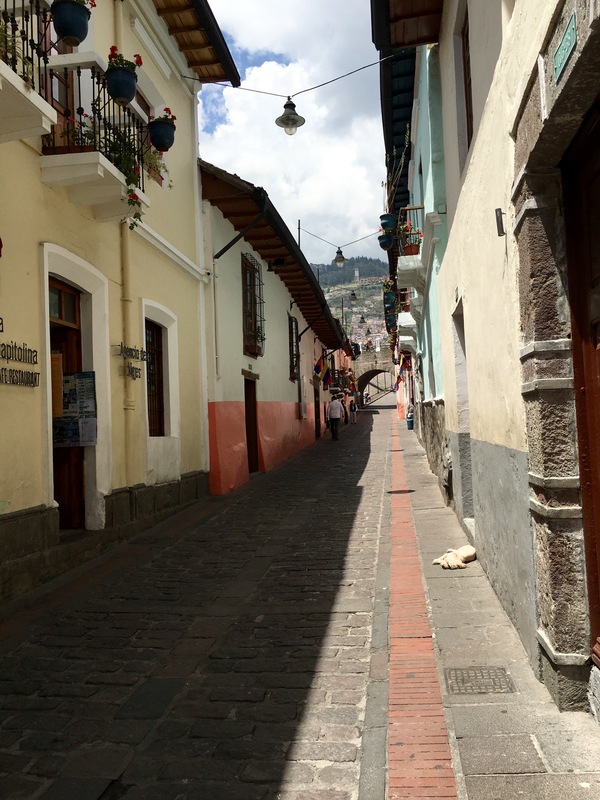 This entry was posted in Everyday Adventures and tagged ecuador, vacation on November 24, 2015 by Kaitlyn White.